Don't get me wrong, I understand how this can sneak up on you. After all, when a company is small, usually the the founder(s) is/are actively involved with the product and customers. Everyone knows everyone else. The senior people are close to the market and doing the product management. Their gut feel is normally right and if it isn’t they will get to know about it very quickly. Usually, as a company grows, product managers are appointed. The number of customers increases and things become more complex. No one person knows about all the customers. And information about how customers use the product can be very hard to come by. So somewhere down the line as a product manager you will have to answer questions like: is this feature still popular with customers? Is this operating system used by customers? How is the adoption of our new key product capability? 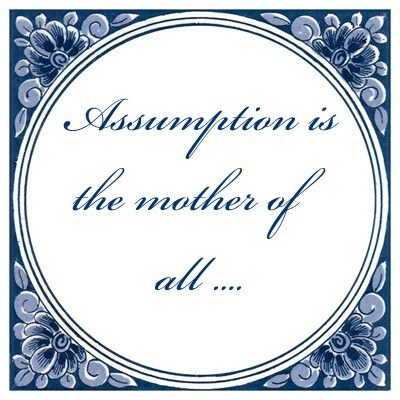 If you don't have the actual data you'll (have to) start guessing and this is where you are taking unacceptable risks with your product because you're making dangerous assumptions - and we all know assumption has a famous mother. The key is data. Collect data about your customers and how they use your products. This will allow you to make decisions based on actual facts and not gut feeling. In mature companies this should also negate the HIPPO effect or prevent the person with the loudest opinion making the decision. There are many different ways to collect data. Use as many of them as possible. Here are some examples. Obviously, you don't want to have this data collection mechanism slow down your product, so keep an eye out for that. 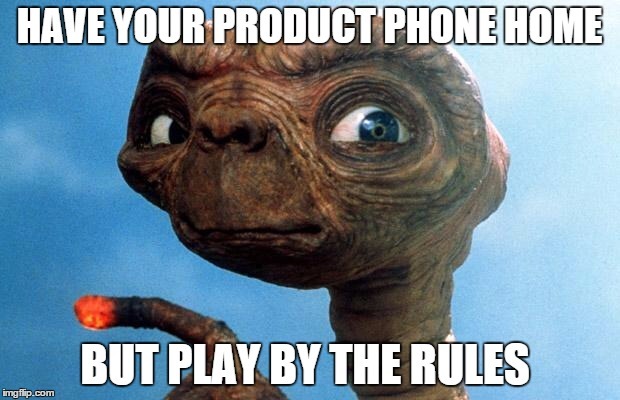 If your product is something that runs on premises, you'll have to create a 'phone home' mechanism to send the data to a place where you can access and analyse it. Privacy laws make it so that, almost without exception, you'll have to ask customers to opt-in for this. Unfortunately this will dramatically lower the participation rate but the risk of breaking any privacy laws should not be taken lightly - the fines can be huge. Obviously, when your product is a cloud (based) service then it is a lot easier to collect data, possibly not even requiring the permission of the customer! Not all product are suited for this approach. After all, if your product is a bundle of licenses you resell from another vendor this approach might be hard. This is a lot more work but it pays to do a periodical customer survey. With the right attention you should be able to get between a 15-30% response rate. One of the benefits of a customer survey over automatically sending data from within you product is that you can be more interactive with your customers by asking things like "which of the following capabilities is most important to you?" or "what is the most important things we should add to our product?" 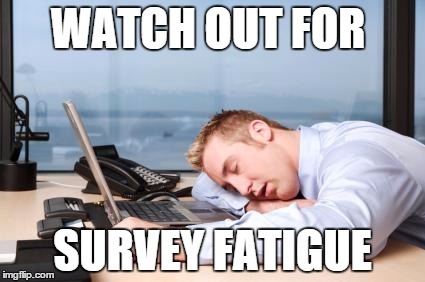 Make sure you don't survey your customers too often - this could cause survey fatigue. Every year or every other year should be fine. How to create the survey is beyond the scope of this article but make use of tools like surveymonkey or surveygizmo - there is enough to choose from. Make sure that you can export the data so you can perform any additional analysis you might want to do. Make sure you centrally collect and store all the data so that you have (full access to it). Also make sure that all the data is reported in a similar format. Once you have done that you can start to create your own product dashboard which should be able to give you the insights to be able to make those hard decisions based on facts and not gut feel. There are many ways to create you own product dashboard. If you're not comfortable creating your own dashboard consider teaming up with the 'BI' person within your company or hire a consultant. It will be worth it. Some products I've used in the past are Qlik and Alteryx but there are dozens more. Using these tools will not only provide with the hard facts you need but it will also provide unique insights by correlating information, drilling down into specific customers or by making horizontal or vertical comparisons. Basically, you're leveraging the benefits of big data for the management of your product! 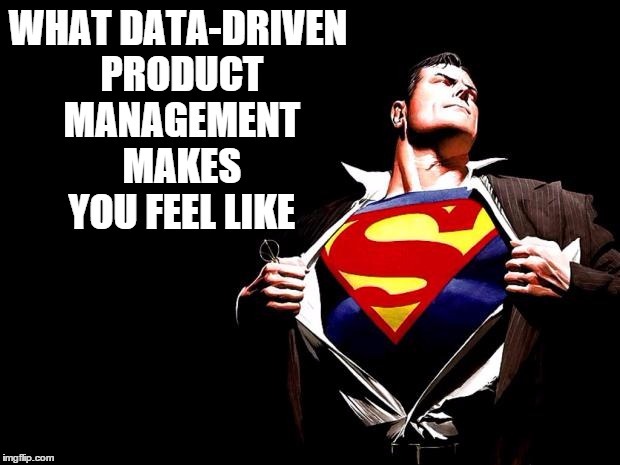 Once you've gotten a taste of the power of data driven product management, you'll want to explore ways to add even more intelligence to your product dashboard by adding information from other sources. For example think about sources like your CRM system, product support, customers success, professional services, product marketing etc.